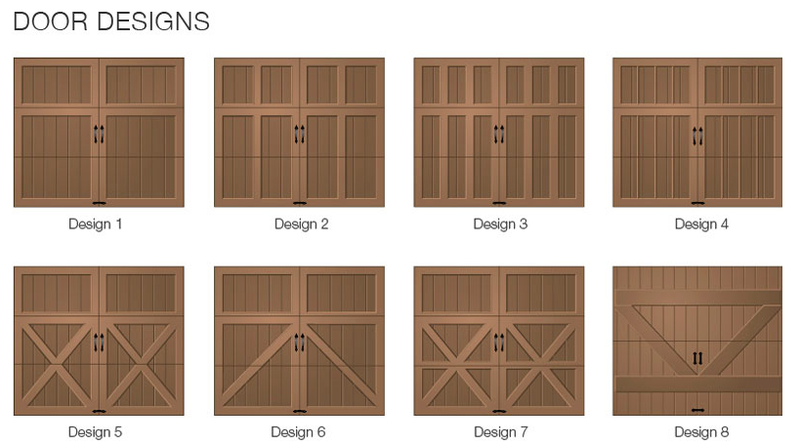 Clopay’s selection of natural wood garage doors are perfect for homeowners who want authentic handcrafted wood to enhance the beauty of their homes. 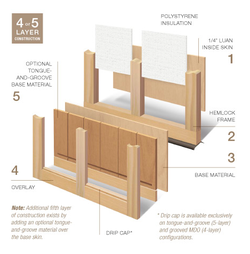 Premium-quality wood harvested from sustainable and naturally fallen forestry provides exceptional beauty and durability, with natural woodgrain texture and detailed raised panel designs available to enhance the door’s beauty. R-value 5.9. Swing-out appearance – modern operation. 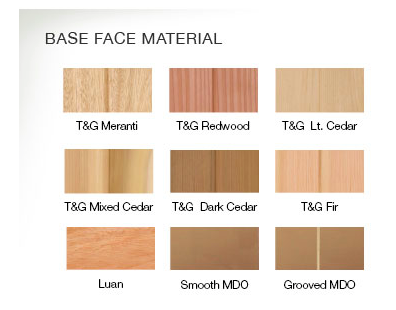 Base wood options include tongue-and-groove Meranti, Redwood, Cedar, Fir, smooth or grooved MDO and smooth Luan. 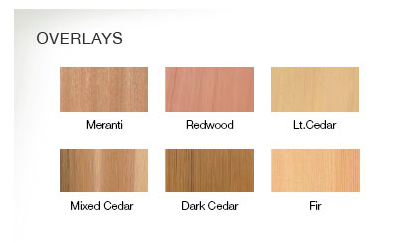 Overlay options include Meranti, Redwood, Cedar and Fir. Working from a professional drawing or just a sketch on a notepad, Clopay can create the perfect door for you. Unlimited custom designs, unlimited wood species and a wide variety of stain and finish options create a one-of-a-kind door. Custom stain and paint colors also available. 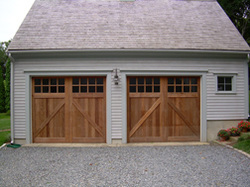 Specialty woods, such as reclaimed wood, can also be used to build your dream door. The canvas is yours!